In my interactions with skeptics, I've noticed a recurring trend. They take a certain pride being both skeptical and reasonable. They feel that the two go hand in hand; a person who doesn't question claims is vulnerable to believe anything. This may be true to an extent, but there are levels of skepticism that can be considered unreasonable and many times I find myself arguing with the very people who so proudly proclaim their rationalism demanding a level of proof that is simply irrational. For example, take the authors of the Gospel accounts. We know that the four Gospels were not signed by Matthew, Mark, Luke or John. This is not uncommon, as there were other popular biographies that were also anonymous when written. However, there are good reasons to hold that the Gospels were written by these four men. Let me begin by reviewing the historical tradition linking the four to the Gospel accounts. While Matthew, Mark, Luke, and John did not sign their names to their Gospels, the church recognized them as the authors very early in its history. Eusebius, writing at the end of the third century specifically credits the four Gospels to those four writers. Of course, writing about authorship some 200 years after the Gospels were composed may lead people to wonder just how reliable that is. But Eusebius didn't make the connection himself. He quoted from earlier works such as Clement of Alexandria. Similarly, we have early support for the other authors as well. Blomberg notes that Papias tells us that Matthew wrote his gospel "alleging that he originally wrote the ‘sayings' of Jesus in the Hebrew dialect. 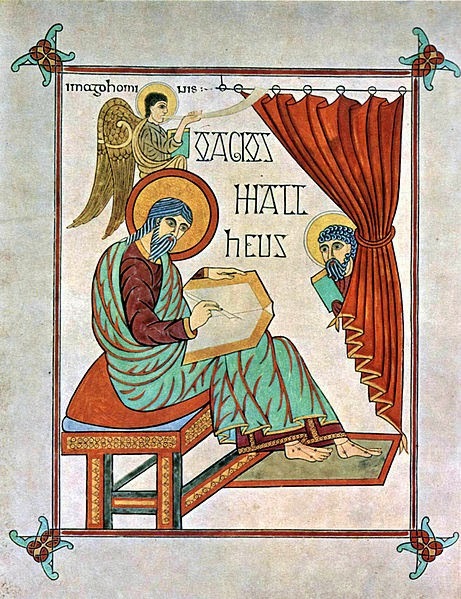 "5 Irenaeus, who lived just after Papias confirms that Matthew wrote his gospel and did so early: "Matthew also issued a written Gospel among the Hebrews in their own dialect, while Peter and Paul were preaching at Rome, and laying the foundations of the Church" (Against Heresies 3.1.1). Clement of Alexandria, in the same Eusebius passage where he confirms Mark authorship also confirms Luke and John's authorship of their gospels. Next time, I will look at some additional reasons why he hold these four men as the proper authors of the Gospel accounts. For now, we can know that there is a strong chain of testimony linking these men to the Gospel accounts. 1. See this passage in the Christian Classics Ethereal Library digital version of the Nicene and Post-Nicene Fathers at http://www.ccel.org/ccel/schaff/npnf201.iii.vii.xvi.html. 2. Christian Classics Ethereal Library, http://www.ccel.org/ccel/schaff/npnf201.iii.xi.xiv.html. 3. Bauckham, Richard. Jesus and the Eyewitnesses: The Gospels as Eyewitness Testimony. Grand Rapids, MI: William B. Eerdmans Pub., 2006. Print. 14. 4. Blomberg, Craig. The Historical Reliability of the Gospels. Second ed. Leicester, England: Inter-Varsity, 2007. Print. 25.